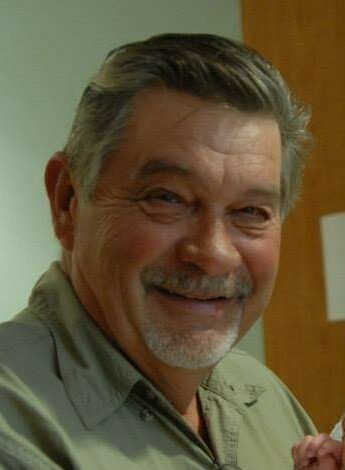 Dennis Wayne Cooper, Sr. of Millstadt, Illinois passed away on Friday, January 18, 2019 at his home, having attained the age of 70 years, 4 months and 2 days. Born in Brownwood, Missouri on September 16, 1948, he was the son of John Raymond and Helen O. Cooper, nee Collins. He was united in marriage to Cynthia Fingerhut on June 13, 1969 at Villa Hills Church of Christ and she survives his passing. Dennis was a pressman lithographer with a publishing house and a member of Life Community Church in Columbia, Illinois, a lifetime member of the National Rifle Association and a member of the Gold Wine Riders Association. He loved hunting, fishing, canoeing, riding a his motorcycle and photography. Preceding him in death were his parents and his nephew, Stephen Cooper, Jr. Surviving are his wife, Cynthia Cooper of Millstadt, Illinois; his children, Stacy (Erick) Crabtree, Sr. of Ellis Grove, Illinois, Dennis (Stacey) Cooper, Jr. of Millstadt, Illinois and John (Catherine) Cooper of Columbia, Illinois; his brothers, Stephen (Marilyn) Cooper of Millstadt, Illinois and Keith (Theresa) Cooper of Gerald, Missouri; his grandchildren, Ashli (Justin) Blankenship of Belleville, Illinois, Michaela Crabtree of Decatur, Illinois, Erick Crabtree of Ellis Grove, Illinois, McKenzie Cooper, Jacob Cooper, both of Millstadt, Illinois, Alyssa Terrill, Nathan Terrill, Dennis Terrill, all of Louisiana, Andrew Cotter, Lydia Cotter and Gavin Cooper, all of Columbia, Illinois; his great-grandchildren, Drake Blankenship and Benjamin Blankenship, both of Belleville, Illinois, nieces, nephews and many friends. Memorials may be made to Royal Family Kids, 626 West Bottom Avenue, Columbia, Illinois 62236 or St. Jude’s Children’s Research Hospital and will be received at the funeral home. Friends may call on Sunday, January 20, 2019 from 4:00 P.M. to 8:00 P.M. at the Creason Funeral Home in Millstadt, Illinois. Funeral services will be held on Monday, January 21, 2019 at 10:00 A.M. at the funeral home with Rev. Jamie Bridges officiating. Interment will be in Rockpoint Cemetery in Advance, Missouri.